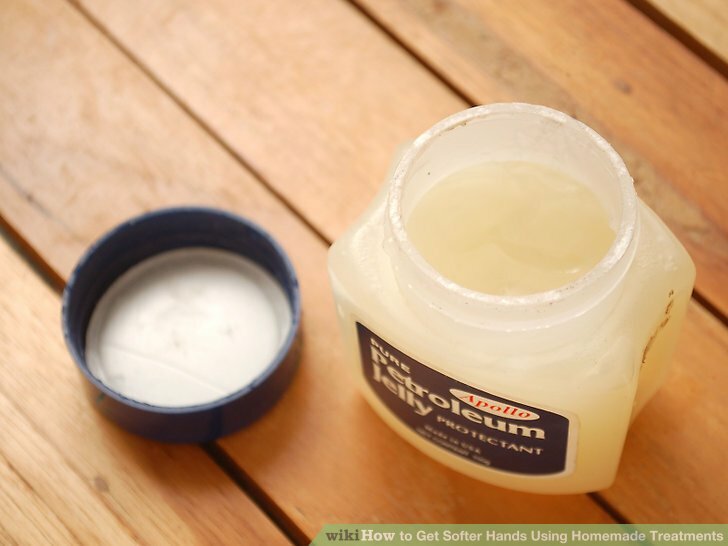 There are ways to keep your hands lovely and soft without spending a lot of money on soaps and lotions. 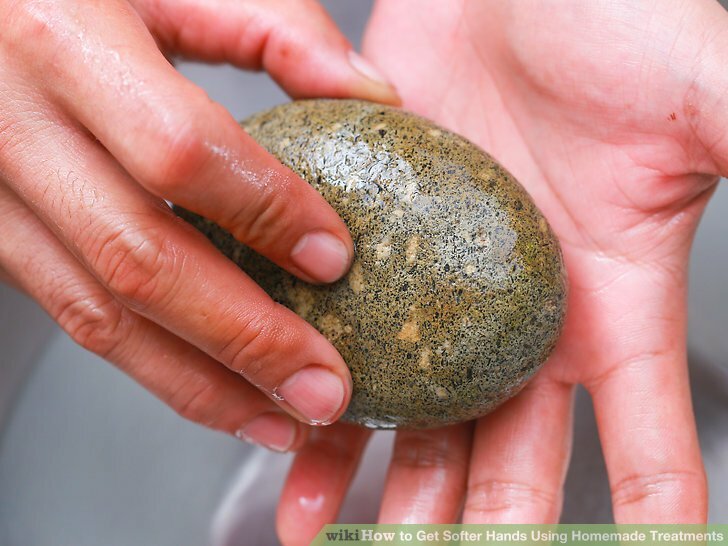 Soft and smooth hands can be achieved using homemade hacks––just choose the methods that appeal most to you. Here come heavenly hands! Massage your hands to increase blood circulation to the skin and make it softer. Self hand massage is also a great stress reliever. 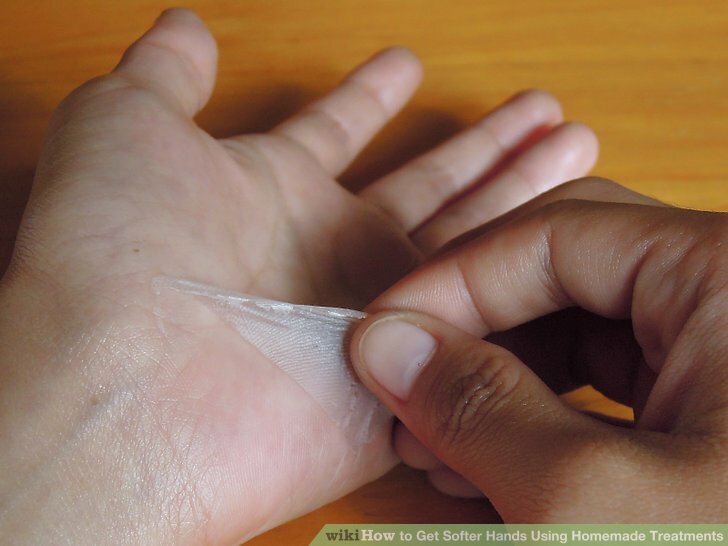 Place some lotion or even a teaspoon of olive oil on the palm of one hand. Rub the palms together and then use the thumb of the opposite hand to massage the palm in a circular motion while keeping your fingers interlaced. Repeat with the other hand. Turn one hand over and massage from the wrist to the fingertips, gently pulling on them as you finish. Use a circular motion, and then repeat with the other hand. 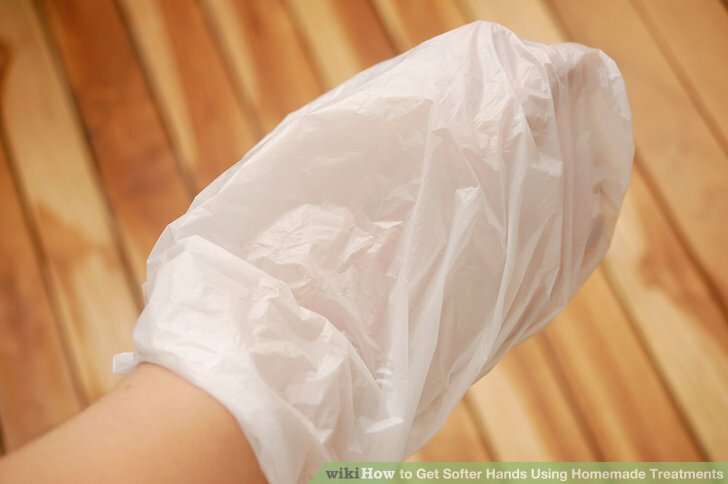 Get plastic bags of some sort or anything comfortable to wear on your hands as you sleep. Get lotion of any kind you like and fill the bags with it. Put your hands in each bag. Leave the plastic bag covers on all night. 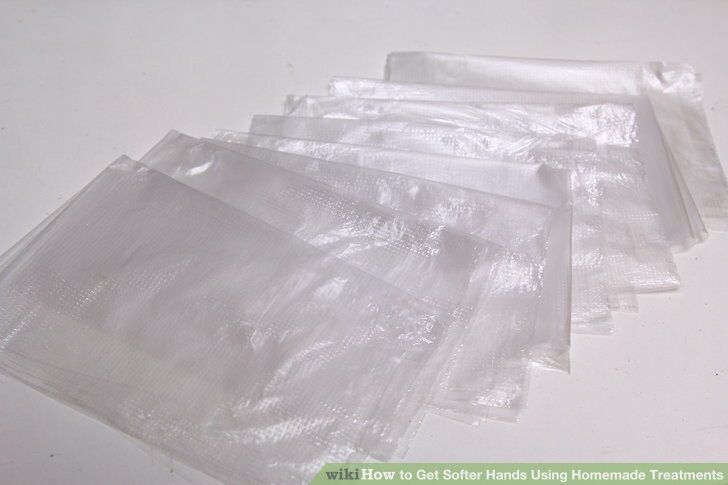 When you wake up, slide the bags off and enjoy your new softer hands. Find basic white or craft glue. Rub it into your hands until dry. Peel off all of the glue. Proceed to wash your hands. 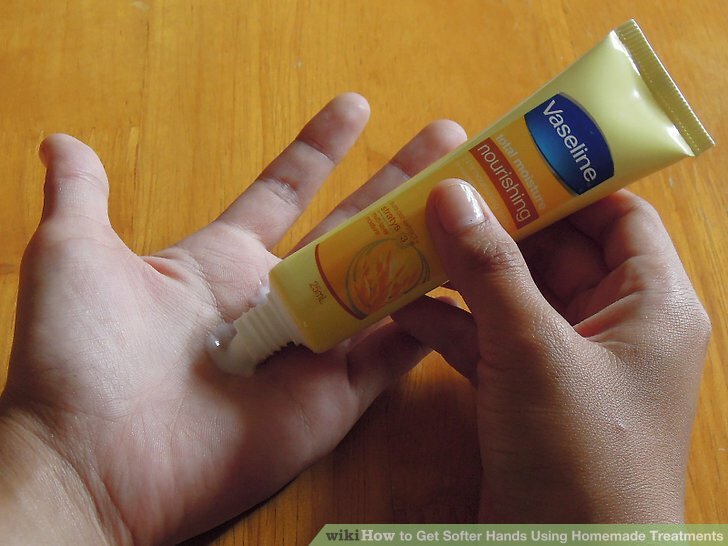 Add lotion to your hands. 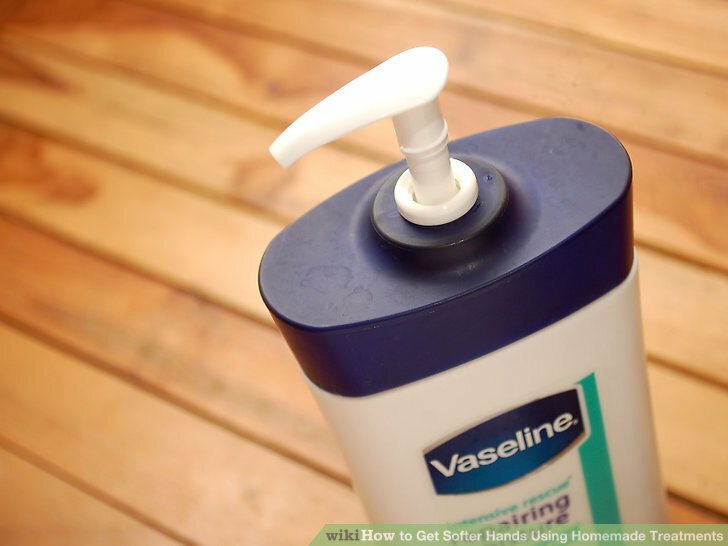 Apply petroleum jelly to your hands before you go to bed at night. Make sure you apply a generous layer. If you have let your poor paws get too rough, use a pumice stone to gently rub away some of then skin then put some lovely scented lotion on them afterward. 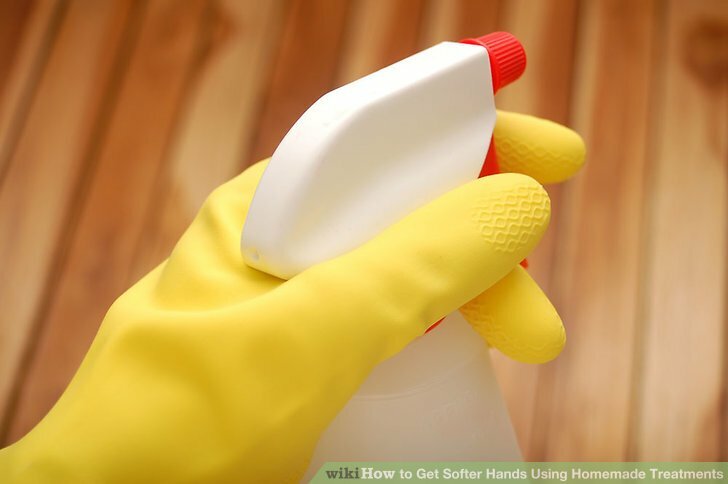 Wear latex, rubber or disposable gloves when cleaning. 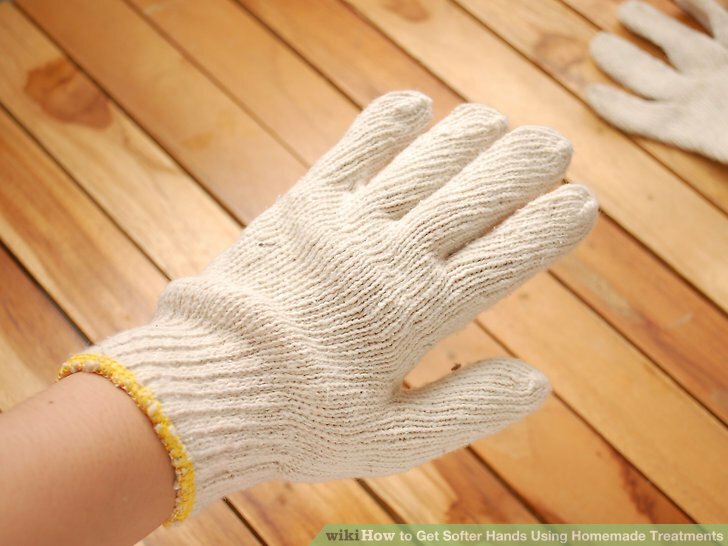 Harsh chemicals and other unnatural substances can really do some damage to your hands! Take precaution and wear gloves whenever possible. If you live where it’s cooler or it just happens to be winter, wear mittens (or gloves) to cover the skin. Prolonged exposure to the cold can really dry your hands out.